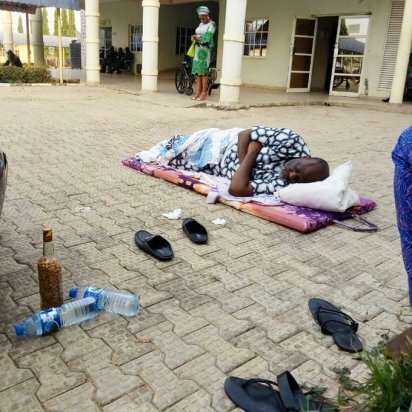 Reports reaching NewzEMPIRE suggests that the distinguished senator of the Federal Republic of Nigeria, Senator Dino Melaye was moved from the police hospital in Abuja to a medical facility of the Department of State Service (DSS) in Abuja and was offered ground nut and water as food. Senator Dino Melaye is under investigation and currently in Police custody on a fourteen (14) day remand warrant obtained from the Federal Capital Territory (FCT) High Court on 9th January, 2019, for the offence of criminal conspiracy and attempted culpable homicide, committed on 19th July, 2018. Is this the DSS medical facility Senator Melaye was taken to or is the controversial senator is just playing one of his usual pranks?